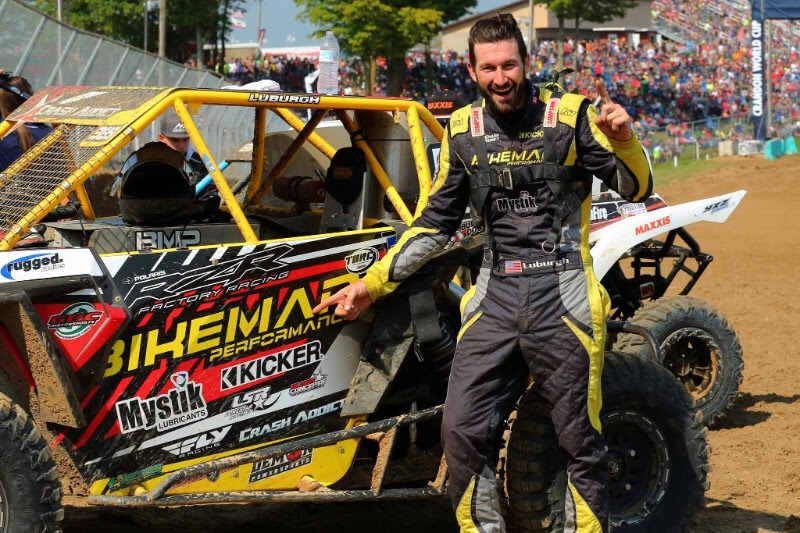 Anaheim, Calif. – September 19, 2017 – Jason Luburgh, of the GBC Motorsports-sponsored team Bikeman Performance/rOtation Motorsports, fought his way to victory at the most recent round of The Off Road Series (TORC) at Crandon International Off-Road Raceway in Wisconsin. The Ohio native’s performance made for a spectacular debut for GBC’s newest addition to their UTV tire lineup: the Kanati Terra Master. Sitting out the Saturday races, Luburgh and mechanic Jimmy Krantz focused their energy on preparing for Sunday competition, a move that paid off in the end. The pair equipped Luburgh’s Polaris RZR with a 30-inch set of GBC’s all-new Kanati Terra Master tires, putting this new model to the ultimate test right out of the gate. Luburgh moved his way into the top five after a crowded start, and by lap five has worked his way into second place. Luburgh picked his way to the front of the pack by mid-race, thanks in part to the traction and control delivered by his Kanati Terra Master tires. In addition to taking advantage the large tire size, Luburgh and Krantz were able to utilize the Kanati Terra Master’s asymmetrical, non-directional tread pattern. This innovative tread design allowed them to choose from two mounting options to achieve best traction and control depending on track conditions, a decision that paid off. On lap seven of twelve, Luburgh emerged from a physical three-car battle to take the lead. From there he held off several hard charging competitors throughout the final laps, taking the UTV Pro Stock victory in the Kanati Terra Master’s racing debut. Jason Luburgh held off all challengers to take the UTV Pro Stock win at Crandon. Luburgh went on to compete in the UTV Pro Modified class, but a mid-race caution led to heating issues in the car that knocked him out of contention. Luburgh’s teammate Treavis Poynter got off to a strong start in Saturday’s Pro Modified race, but a mechanical issue took him out of contention as well. RJ Anderson filled in for the healing Colten Moore. 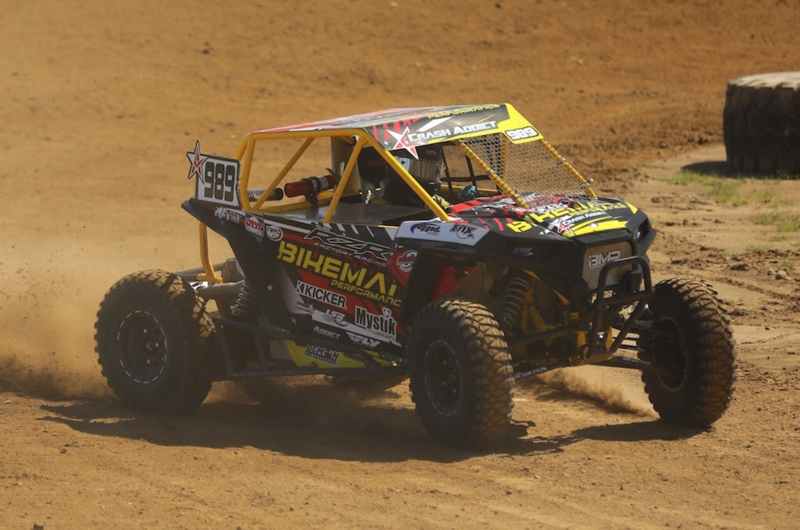 Anderson picked his way from mid pack to an impressive 4th place finish in his Kanati Mongrel-equipped RZR. 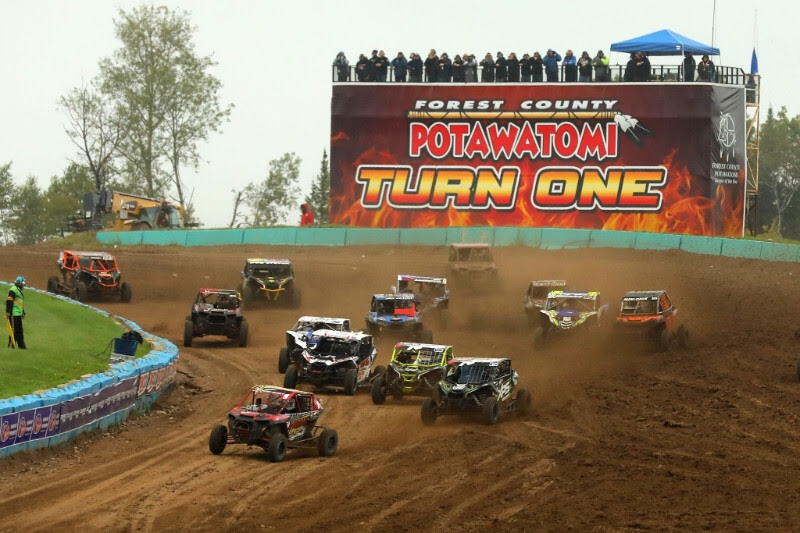 The 2017 TORC Series wraps up September 22-24 in a triple header season finale in Elk River, MN. 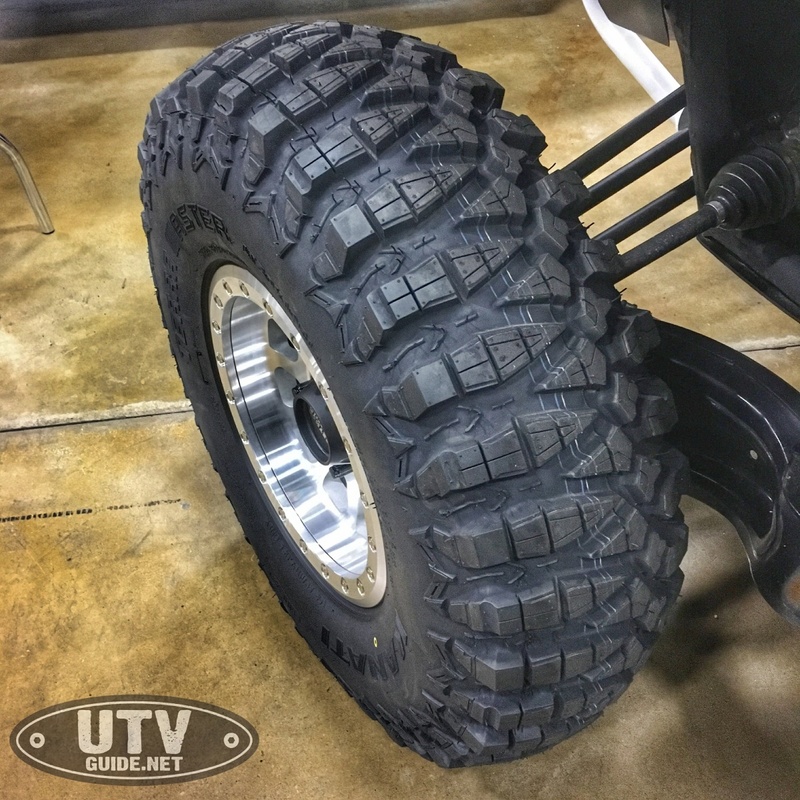 Learn more about the GBC Motorsports Kanati Terra Master and the complete lineup of UTV tires at www.GBCMotorsports.com, and follow them on Facebook, Instagram and Twitter for the latest updates.